Well, I can’t say that I’m up on the trends. At all. Because sometimes when I go to write a blogpost about a trend or something I think is really great, and I’m googling images, I come accross a post on the very subject I was planning on writing about… and quite often it’s over a year old. That makes me feel behind. 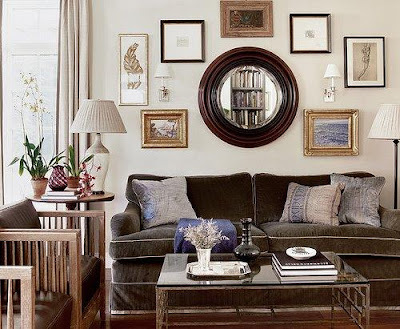 So, I know there are probably a million posts out there about lucite coffee tables, and maybe I didn’t even get the memo and the trend is over, but I write posts as much for me as for you. And for now I’m going to indulge myself & hope you’ll join me. 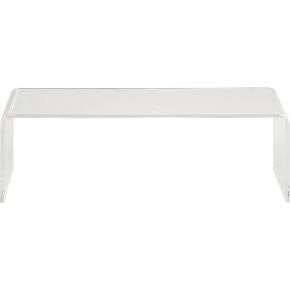 I just bought the lucite coffee table above from cb2 and can’t wait for it to arrive!!! 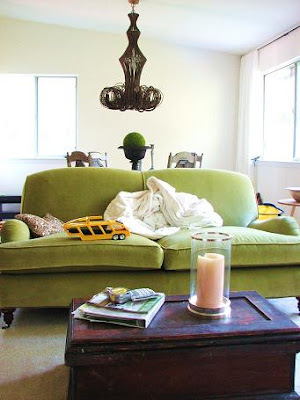 (The “Peakaboo Clear Coffee Table”) I had originally planned on keeping the old toolbox -below- we had for a while… Then Christian fell off the sofa and whacked his head on the corner of it and I started to consider some softer options. (I’m usually not this much of a wimp, but since the dog bite accident I find myself being a bit more paranoid.) 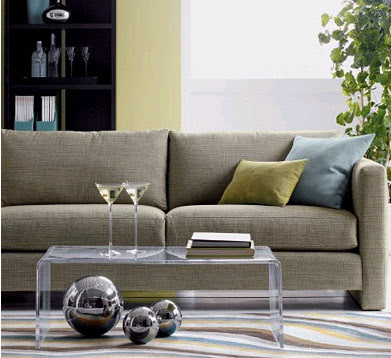 I was also looking to go for something a bit more modern juxtaposed against the traditional sofa, let’s be honest. 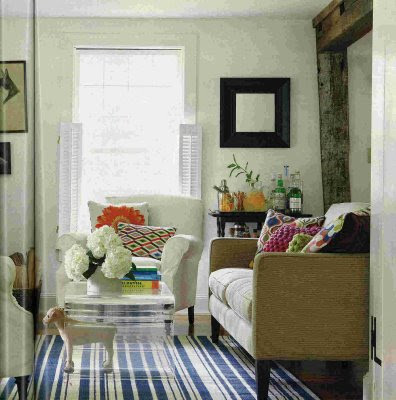 I really love this one from Elle Decor but of course glass had me more more terrified than the wood. (haha I really am scarred right now.) But it really got me in the mood for clear. According to the internet, our all-knowing source, “Lucite is a material that has both properties of plastic and glass and mirrors the clarity of glass. It is heavier in “feel” as compared to traditional plastics and is of the highest quality.” So I decided to go with lucite to get my clear fix. 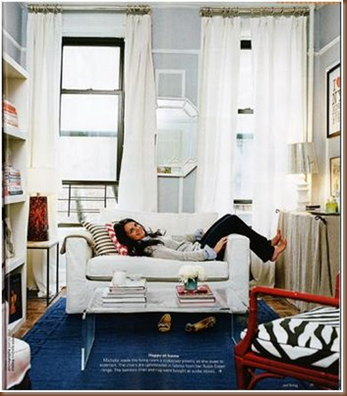 Loving this room below (found at decorpad) & I think the lucite is just a perfect surprise in the middle of the room. LOVE the room below. 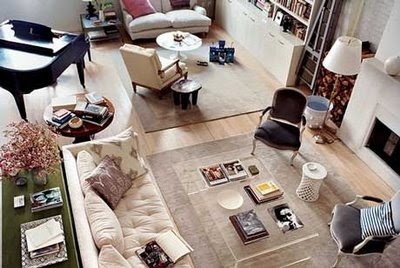 It’s so big & I love al the separated areas the designer created. 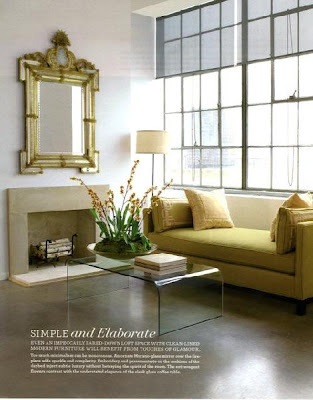 (pic from inglenookdecor.blogspot.com) I also love views of lucite tables from above because it’s almost like the objects on them are floating. And I found the one below on my good friend Camila’s blog (High-Heeled Foot in the Door) who I’m sure most of you know & love. Just two stacks of books on it- so pretty & simple! !